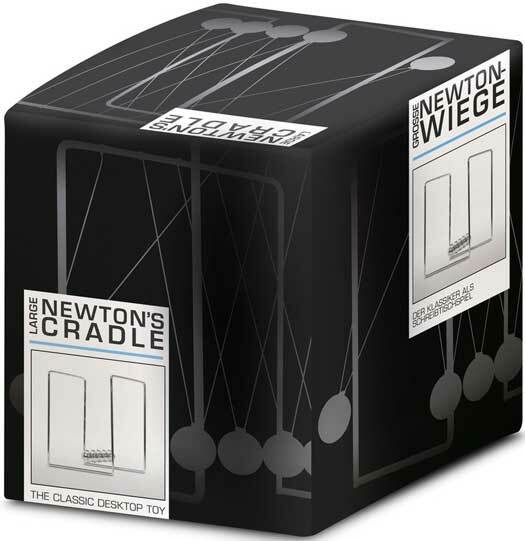 Large version of the classic desktop kinetic toy. 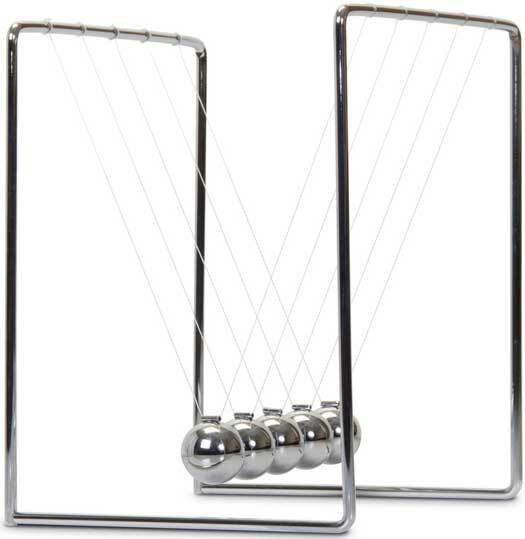 Pull back one of the metal spheres and then release to make it connect with the others, sending the impact energy through the chain and making the sphere on the other end react with equal force. 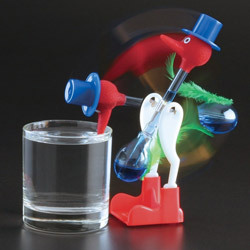 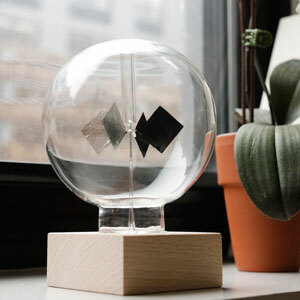 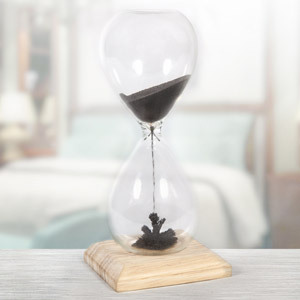 This educational toy is not only a mesmerising item to watch, but also demonstrates conservation of momentum and energy in a way that's easy to understand.